I'm printing this model at 100mm/s with a 60cm capricorn xs bowden driven by a bondtech bmg and a genuine e3d v6. What is your extruder jerk and acceleration set to? Personally I find it easier to tune pressure advance by looking at the solid infill ends. yes I used that, but couldn't really see a difference. might have to do solid infill and see how it fares. 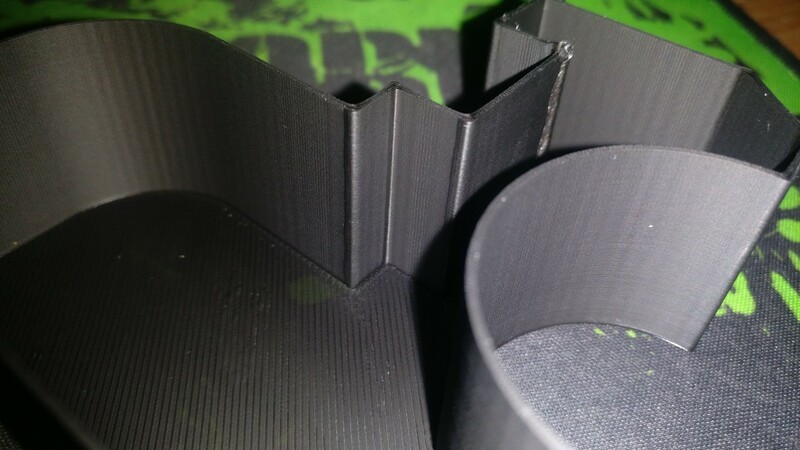 You should not need to do solid infill. The effect of pressure advance should be readily visible on the sharp vertical edges of a cube. It will be less visible (or perhaps not applied at all) or curved edges, which I think is what you have in your model. Here is what works for me (and I've done an awful lot of work on this but nobody takes much notice). My own test results lead me to the conclusion that the effect of pressure inside the hot end becomes more apparent over time and with speed. That is to say, the longer you force filament into the hot end for, the more the pressure builds up. Therefore the effect becomes more apparent and easier to spot when you do long moves at speed. 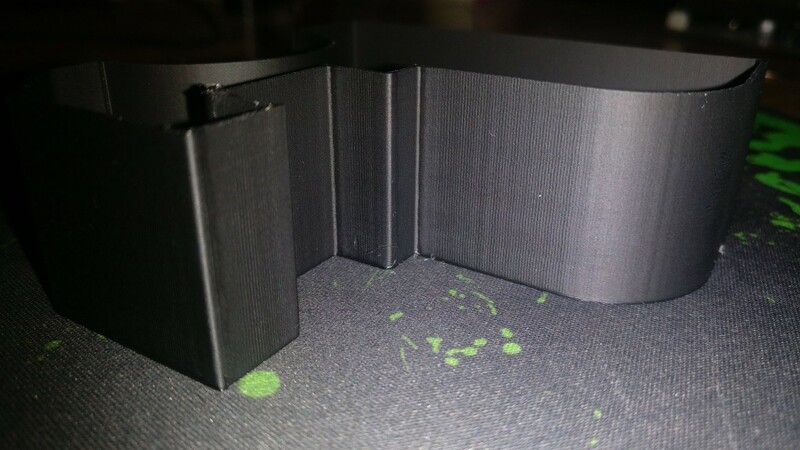 So what works for me to print a cube, as large as will fit on the bed and use a high percentage infill. Start slow to get a nice smooth first layer. Then whack the speed up to the highest practical value that the machine is capable of while still giving good quality results. 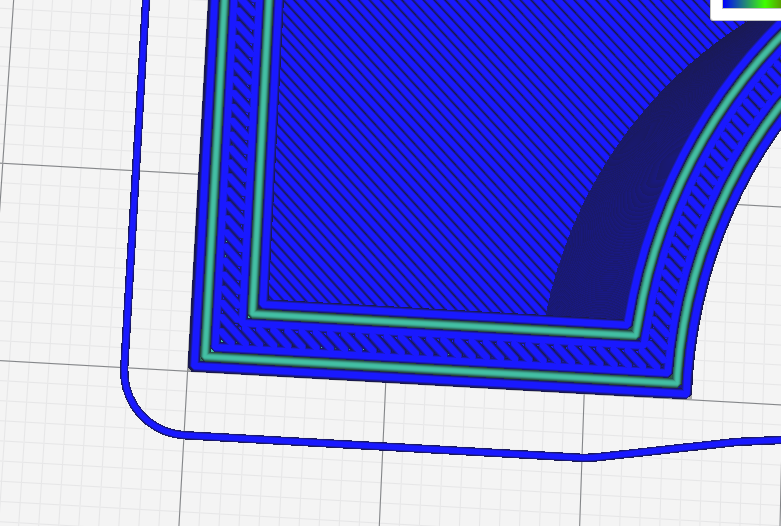 Solid infill works best for me because you can usually tune the pressure advance over a single layer. Lower infill percentage means less lines so less time to tune it. 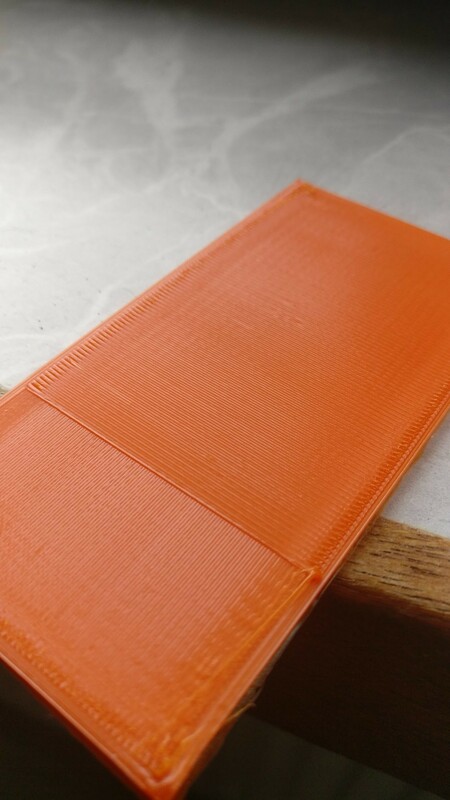 If you need to do it over multiple layers, then you need to slow the printer down and lay down a few more solid layers to get smooth surface. Otherwise any roughness from the previous layer will adversely affect the next layer. Towards the end of a long high speed move, the carriage decelerates but because of the pressure build up in the hot end, the rate of extrusion does not slow down at the same rate. So we get over extrusion and the end of a move - the longer and faster that move, the more noticeable it is. So simply observe the beginnings and ends of those long infill lines. Even better is to use a finger tip rather than an eyeball. The over extrusion tends to feel rougher than it looks. Increase pressure advance until the ends of the long infill lines look and feel as smooth as the perimeters. On my machine at least, once the optimum value has been found at the highest practical speed, then this value will also work for all lower speeds. and this is tested ... per filament type and for each nozzle diam ... correct ? For the first line of the above - yes. I have found that anything which affects the viscosity of the filament will affect the pressure and thus will need a different pressure advance setting. That includes temperature as well as filament type. In general, a higher temperature makes the filament less viscous (more "runny") so slightly lower pressure advance is needed. Nozzle diameter has a huge effect. For example, I need to use 0.4 to 0.5 pressure advance on my machine using a Diamond 3 colour with 0.5mm nozzle but with a 0.9mm nozzle, I need no pressure advance at all (which is quite logical when you think about it). For the second line of the above - "And that you decking man ... and all" I have no idea what that means. @dc42 picture model as you can see all the corners are sharp as a knife. The corners look deliberately rounded to me, but it's hard to be sure from the photos. What is the nozzle size?